portages: 1… with the second one (Vertente Bay into Hurst Lake) avoided by running it – YMMV! 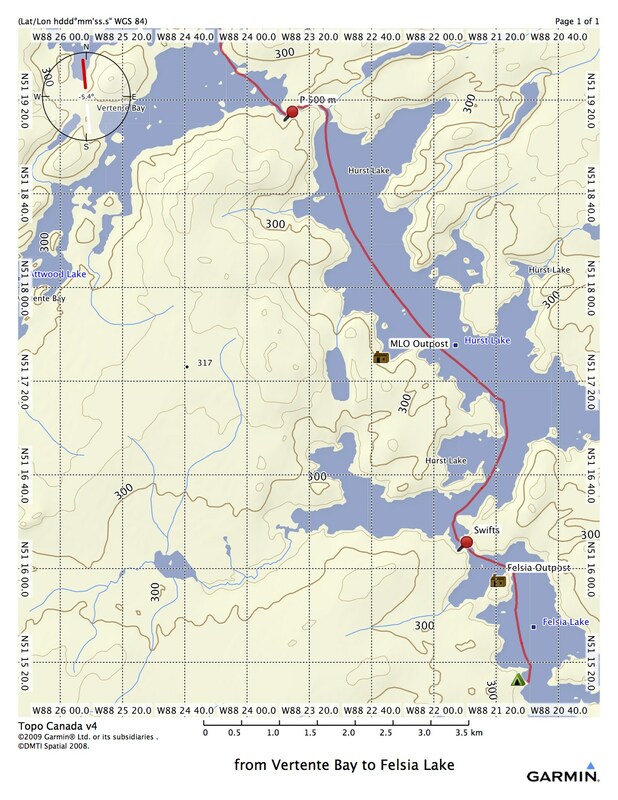 If you’re interested in a pdf file of the maps, click here. If you have Google Earth installed, click here for a kml file which it will open up. 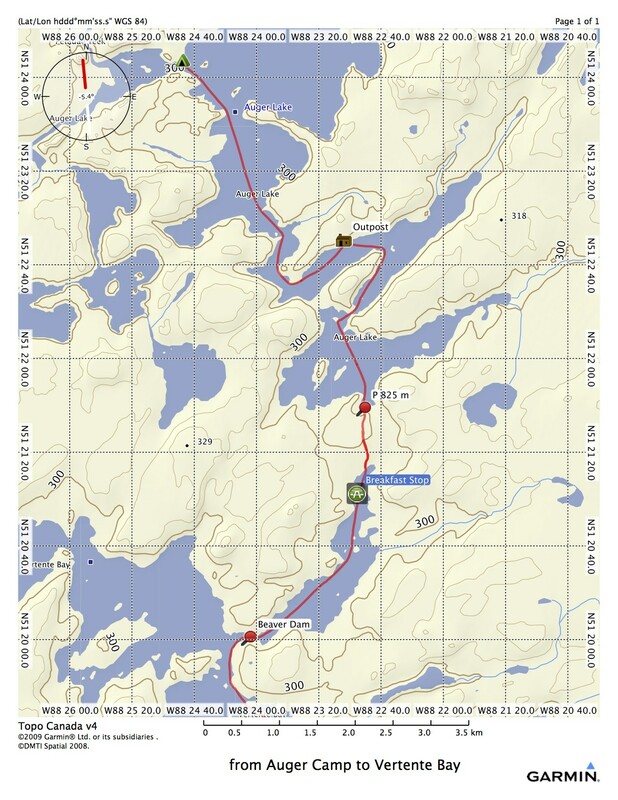 I also uploaded a gpx file of our entire route from Auger Lake to Pikitigushi Lake here. 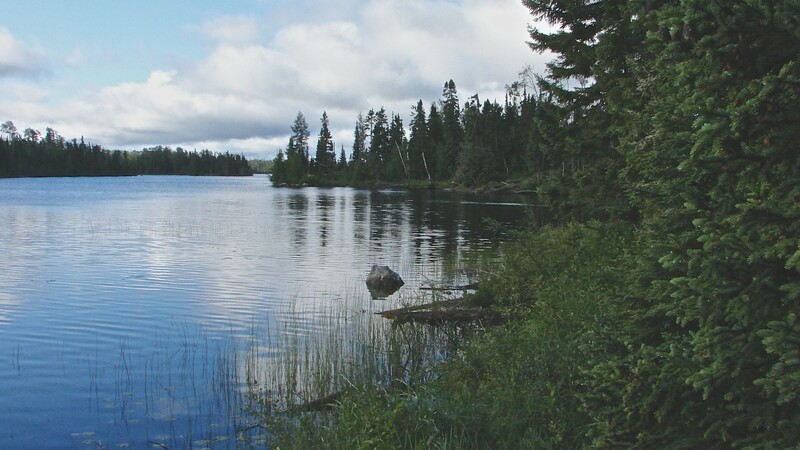 Having spent a memorable day getting up to Auger Lake from the Albany River via Petawa Creek, our goal this day was the mouth of the Witchwood River system. We were keen to go, having spent a rain day at our Auger Lake campsite while a nasty bit of weather blew its way through. 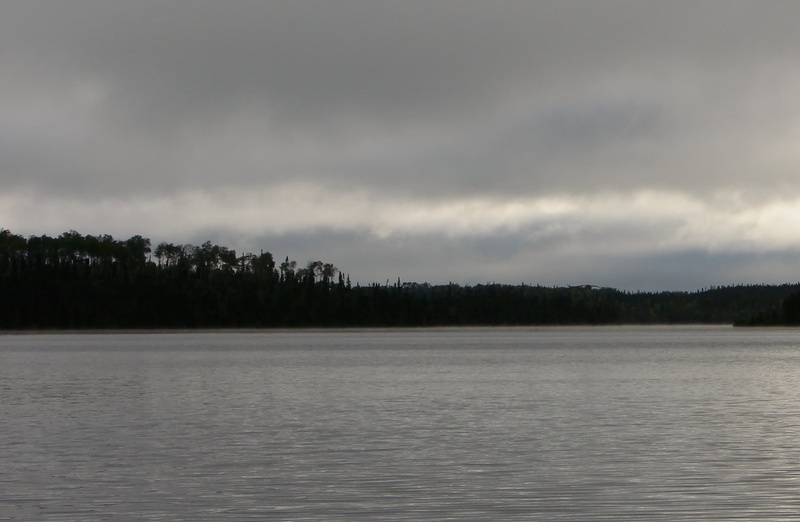 a grey day begins on Auger Lake – we’re moving’ on! 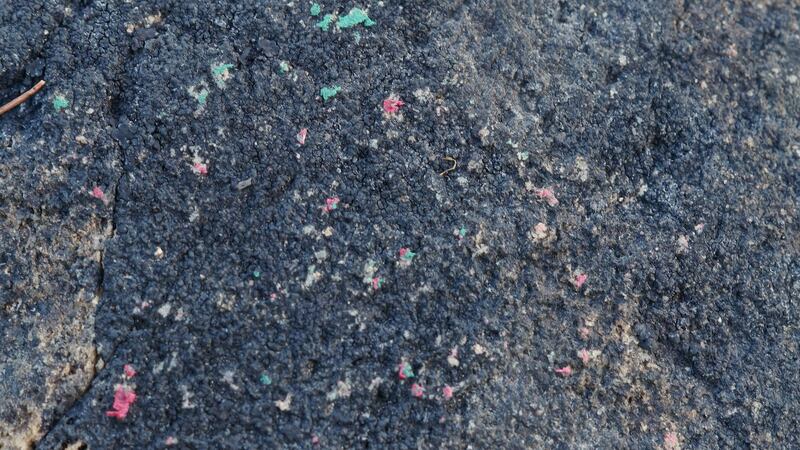 When the second morning arrived, it was overcast, but at least it wasn’t raining. We set off at 7:35, intent on paddling a few kilometres before breakfast. On our way up Auger Lake we stopped in to see if anyone was at the Mattice Lake Outfitters outpost a bit over 4 kilometres from our campsite. Nobody was home on this day at a very well-kept outpost. We moved on to the portage that would take us to Quartz Lake and our bowl of oatmeal and first mugs of coffee for the day. The portage is well-used thanks to the outpost; the last bit of the 825-meter carry follows a muddy creek bed to Quartz lake. 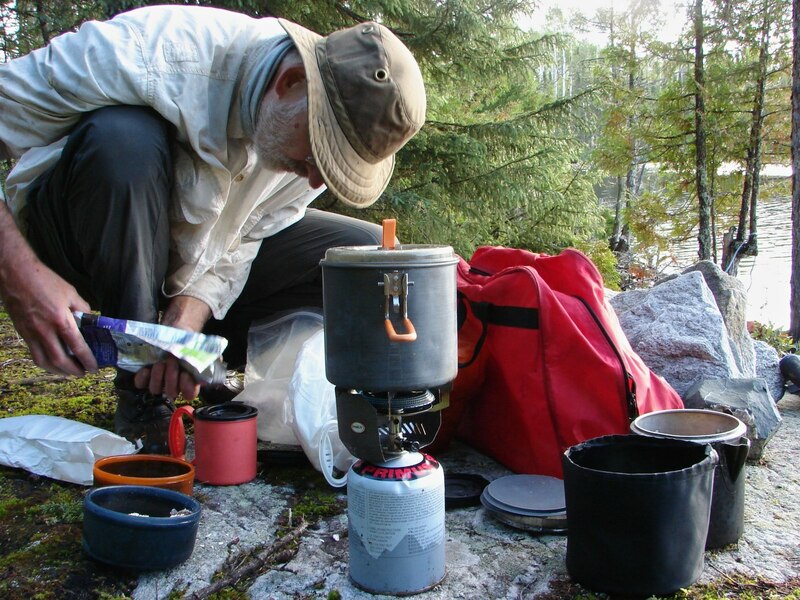 Breakfast on the rocks – Quartz Lake – just add some boiling water! We found a breakfast spot a short distance down from the portage put-in and pulled out our Senate seats and leaned back while we savoured the filtered coffee and took in the rain-free morning on a calm little lake. We were sitting by a large fire pit with a stack of wood next to it but it didn’t look like anyone had camped there for a year or two. Coming up was a seventy-five meter portage (see map above) around a beaver dam to get us into Vertente Bay, a long arm of Attwood Lake, and another portage (see map below) to get us into Hurst Lake. We really didn’t have much information about what to expect. We ended up hauling the canoe over the dam and found that there was enough water in the creek to paddle the rest of the way to Vertente Bay. Do note that this is not great campsite country – we saw very few decent campsites in our paddle from the north end of Auger Lake to the Attwood River. The above image pretty well sums it up – bush and marsh to the shoreline with very few rock outcroppings or other suitable places to pitch a tent. This is not Temagami! At the east end of Vertente Bay, the Attwood River tumbles down a 400-meter set of rapids into Hurst Lake. The portage trail is visible on river right. After a quick look at what looked like an okay trail, we pushed off to see if we could maybe line and run the rapids. In the end, we just powered down the middle carried by some big waves and had a exhilarating two-minute ride down instead of a thirty-minute hoof across the portage trail. There was a campsite at the end of the portage trail which looked pretty good but our goal for the day was Felsia Lake so we moved on. 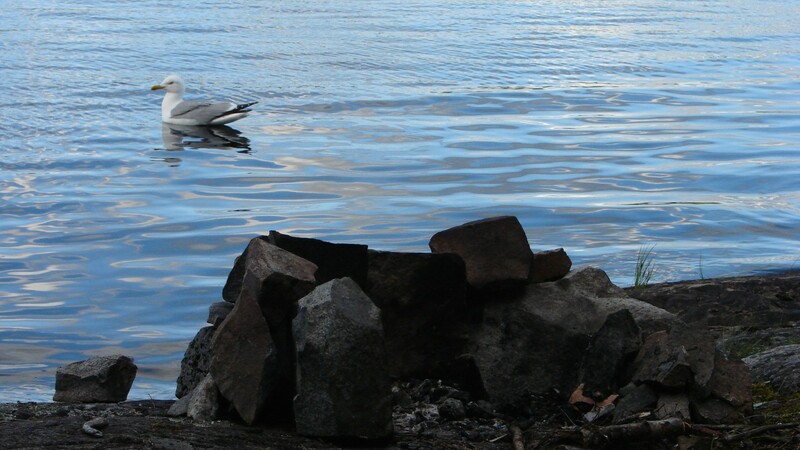 In our seven-kilometer paddle down Hurst Lake, we saw the first person since we had waved our pilot goodbye on Rockcliffe Lake ten days before. A Beaver had just landed at the outpost but we were too far way to exchange greetings. The light NW wind didn’t hurt and in a little more than an hour we were sitting at the end of the lake by the swifts flowing down from Felsia Lake. Three minutes of paddling harder than we had all day and we slipped into the quiet waters of Felsia Lake. As we paddled up the lake we passed a Leuenberger outpost and saw a bush plane dropping off someone – again, we were too far away to say “hello” but there they were! Two more people – three in an hour after nobody for a week and a half! They would be the last people we would even see until we got the the Bear Camp on the banks of the Pikitigushi River a week later. 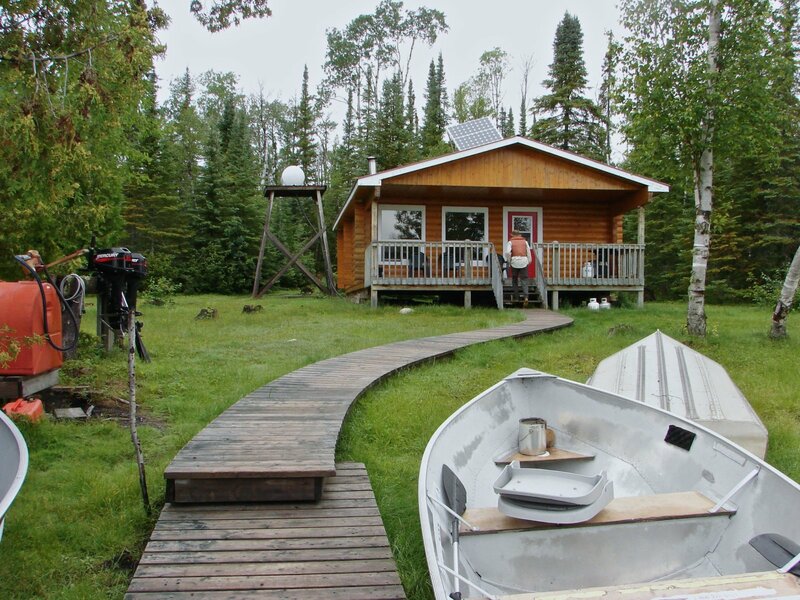 Around the corner from the outpost we found an okay campsite that had seen a visit or two in the past while – the canoe paint scrapings on the landing spot were witness to that! We put up the tent and set up a clothesline so the wind and sun could dry some of the clothes and gear. 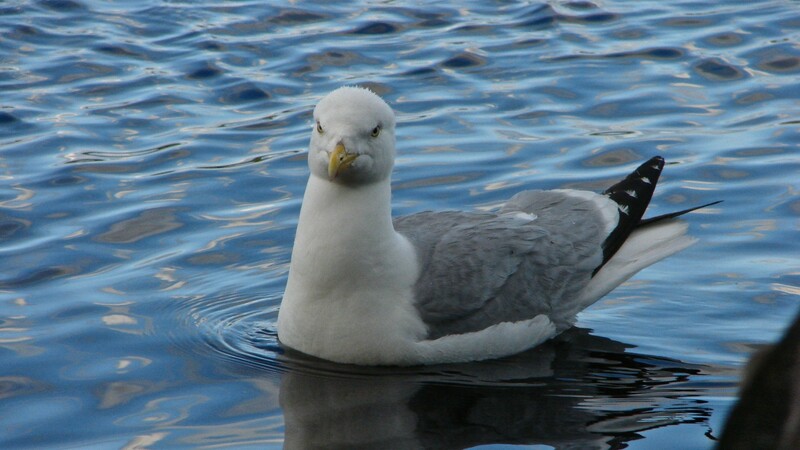 The evening’s entertainment was provided by a curious seagull who was very keen on sharing some of our supper. Next Post – A Two-Day Paddle Up Wabakimi’s Witchwood River System. It will get you all the way to Whiteclay Lake on the Ogoki River system. 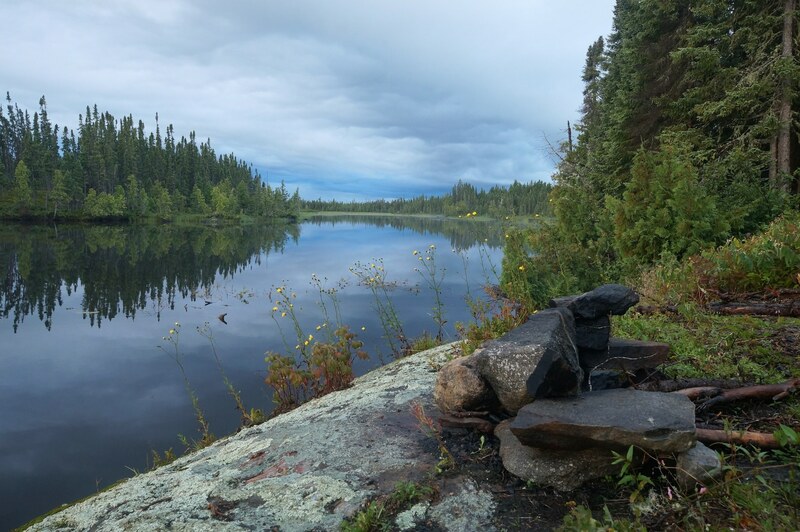 This entry was posted in wilderness canoe tripping and tagged Attwood River canoeing, Auger Lake, Felsia Lake, Hurst Lake, Petawanga Lake to Attwood River, Wabakimi Canoe Trip, Wabakimi Quartz Lake, Witchwood river. Bookmark the permalink.